An earache can sound like serious business for a parent: their kid’s in pain and while the cause may be something benign like Otitis (either of the middle ear or the outer ear), it still looks worrying. When a child complains of pain inside their ear, either because of a swelling of the eardrum (Myringitis), a cold, an infection, allergies, eardrum blisters, or injury, it’s time to look for remedies quick. 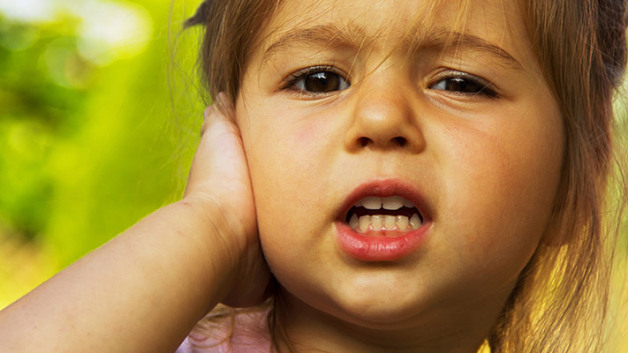 Sure, a lot of ear infections that occur in children aged 2 or older will go away without the need for treatment – but what can a parent do in order to alleviate the pain caused by the earache in question. There’s always the option of calling a doctor or using pain relievers, but if those solutions are not accessible to you, or you would simply like to avoid them for whatever reason, we’ve got a handful of natural earache remedies for you to try out. No doctor needed! Bear in mind that if the pain persists, you are best advised to seek out professional medical advice. Since a lot of ear infections don’t necessarily require medical attention, one of the best ways to handle an earache is to simply encourage your child to rest. If you can get them to lie quietly in bed while you read them a story, color a picture book, or play a video game with them, that’s great. Do your best to engage the child in quiet, relaxing playtime activities. It’s generally not recommended to allow your child to go outside during bouts of ear pain, especially if the weather is cold. Furthermore, try to avoid or postpone travel at this time, most of all by pain. High altitudes may aggravate earaches caused by ear infections. In all of the above scenarios, whether they entail travel or rest and relaxation at home, it’s a good idea to apply a warm cloth to your child’s ear. The heat may help reduce the intensity of the pain and you can use anything from a washcloth to a blankie, a heating pad, a favorite toy, or a towel. Just make sure to have a replacement at hand when the first thing you’ve used has gone cold. Let gravity work its magic. Since most earaches are caused by inflammations, which, in turn, create pressure via an accumulation of fluid against the eardrum, gravity can help reduce some of that pressure. Try to get your kid to lie on one side while in bed, with the ear that hurts facing toward the ceiling. Some of the accumulated fluid and/or mucous might drain away from the eardrum. Wiggle those ears. This tip especially works with kids who often get earaches because of chronic sinusitis and a stuffy nose. Pinch the lobe of the ear that hurts between your index finger and thumb and lightly tug at it. 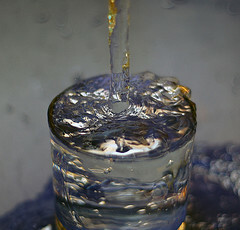 If you do this right, the Eustachian tube which has become clogged might pop open and have the fluid drained right out of it. Alternatively, you can encourage the child to yawn or swallow, much like they would when their ears need to be ‘popped’ when flying. As mentioned above, sometimes kids can get an earache as a direct consequence of sinusitis. If it’s not that serious or a chronic ailment, if it’s simply a cold, try to get them to blow their nose. That, of course, may not be possible if it’s really stuffy, but you can always help them by squirting a drop or two of saline solution up one of their nostrils. As mentioned in the first tip, if only one nostril is clogged, try to get them to lie on one side, with the stuffy nose hole to the ceiling. Sometimes an earache is as painful as to warrant the use of over-the-counter painkillers, or even prescription analgesics, antibiotics, and eardrops. But this is not always the case. When you can safely rule out the possibility of an ear infection, try to drip a drop or two of olive or vegetable oil into your kid’s painful ear. Since this is not always an easy task to complete, try to do this as they are about to go to sleep, or even after they’ve fallen asleep. Have them lie down as soon as you’ve applied the drops, as you don’t want them leaking oil all over the sheets. It’s a good idea to slightly warm up the oil before applying it – just make absolutely sure the temperature is appropriate. Ginger. It’s a great natural painkiller, which can also alleviate inflammation. Pour a few drops of ginger juice into the afflicted ear, or apply a tablespoon of freshly grated ginger root rubbed with ¼ cup of sesame oil and lightly heated around the ear with the ache. Basil leaves. Crush a handful of fresh basil leaves and pour a couple of drops into the aching ear. Onion or garlic. 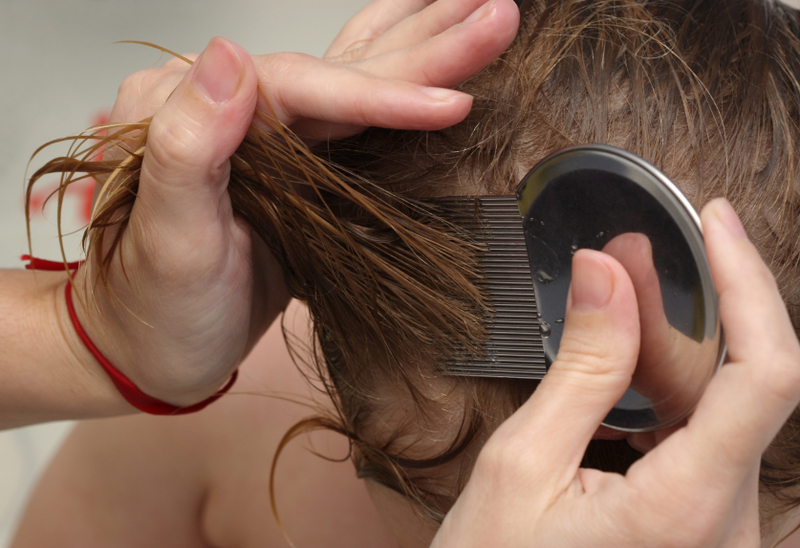 Both are great antiseptics and can substantially reduce an inflammation inside the ear. An influx of gluten-free foods has become popular lately, and products that are gluten-free have been promoting their gluten-free status. The main cause for concern about gluten is two things: Celiac disease and gluten sensitivity. 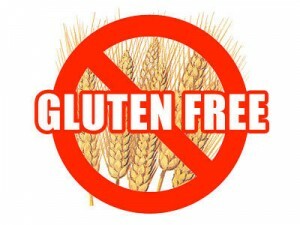 It’s estimated that up to 10 percent of all people in the world are afflicted with some form of gluten intolerance. Diets rich in gluten can cause all kinds of symptoms for those who have a sensitivity, and they are often disregarded. If you experience one or more of the symptoms detailed below, there’s a possibility you could be sensitive to gluten. Read on to find out where you stand. Digestive issues like chronic diarrhea, excessive gas, bloating, queasiness after eating, abdominal pains, constipation, and irritable bowel syndrome can all be symptoms of gluten sensitivity. While not everyone with a gluten allergy or sensitivity experiences these problems, enough do that it’s a cause for concern. Sometimes people who experience chronic digestive problems accept it as a fact of life, and don’t question it because they grow accustomed to it. Keep a close eye on your body, and make note if your digestive rhythm seems off, or if it’s different from those around you. People experience migraines and headaches for a variety of reasons. For some, it’s a neurological condition or neck injury. 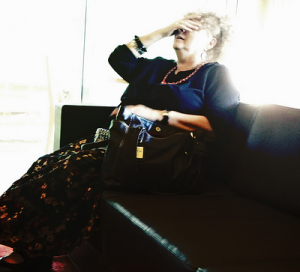 For others, these symptoms are brought on by weather patterns or stress factors. It’s for this reason many who are plagued with gluten sensitivity or celiac disease overlook chronic headaches as a symptom. It’s important to know that doctors classify headaches as chronic when they occur more than 15 days each month. Joint pains and aches are another aspect of this category. If you experience moderate or severe joint pains that aren’t explained by arthritis or other condition, you could suffer from gluten sensitivity. Hormonal and immune symptoms include depression, anxiety, ongoing fatigue, and chronic eczema or acne. Just like the other symptoms, these can be easily explained away by factors like increased stress and genetic predispositions. It’s possible these symptoms could manifest due to other causes, but if you experience them with a combination of any of the other symptoms listed here, it could be an indicator of gluten sensitivity. Along with depression comes added irritability and irrational mood changes. If you find yourself irritable and giving your friends and family whiplash with your mood swings, there’s definitely reason to be concerned. As you can see, many of these symptoms are ambiguous; they’re often explained by a number of other conditions and factors. One out of every 133 people in America have Celiac disease, and an estimated 97 percent of those are undiagnosed. This is why it’s important to be mindful of the symptoms and in tune with your body. When you experience two or more of these symptoms at a time however, it can point to a larger issue. Stay in tune with your body and pay close attention to any changes in your physical well-being. Above all else, don’t hesitate to seek medical advice if you suspect or are concerned that gluten could be the culprit. 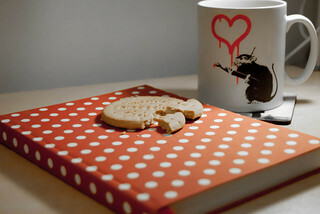 Author Bio: Author Jane is a freelance writer who loves to write about anything from tech to mommy stuff. She is featured in many blogs as a guest writer, and can write with authority on any niche or subject. Most adults cringe when they think of planning a trip to the dentist, so imagine how most kids feel! The dentist’s office may top the list, or at least land in the top three, of worst places to visit. So in light of this knowledge that many of us can agree on, how do we make the dentist’s office a pleasant, or at least a tolerable place your child finds themselves in every six months? Your child will feel more at ease and be able to unwind before their appointment if the dentist’s office is filled with toys, kid-friendly furniture and artwork. 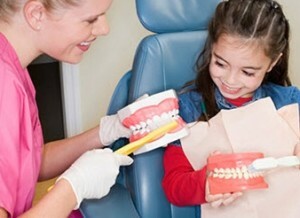 Pediatric dental offices are similar to pediatrician’s offices in that they appeals to kids. While you may trust in your dentist, your child might feel more comfortable in an environment that caters to them. Children feel more comfortable when they have a guardian around them in an atmosphere they aren’t familiar with. Make sure to follow your child into the exam room and keep them company. This is also a great way to keep up on what’s going on in your child’s mouth by asking the dental hygienist and the dentist questions. I don’t know a single child who can’t be bribed…I mean REWARDED for good behavior. Being a good boy or girl at the dentist’s office calls for some kind of reward, don’t you think? If your child knows that there is something special waiting for them at the end of their visit, they will be more likely to cooperate in the dentist’s chair and will find more excitement in what comes after their visit rather than focusing on the negative feelings they may possess. These can be rewards you were planning on giving your child anyway, just time the delivery after their dental visit. Keep in mind that they did just get their teeth cleaned and polished, so stay away from rewards that include sugary foods or beverages. As a parent, children take the cues you give off. If you’re nervous about your dentist visit chances are they will be nervous too. Let your child know you have a dentist appointment and talk to them about the positives of your visit. After all, there ARE positives about going to the dentist: they clean your teeth, you get a fun new toothbrush and toothpaste, and you get to see really cool x-rays of your mouth. If you relay good experiences at the dentist to your child then they are more likely to not put up a stink about going or harvest their own anxieties. Dental anxiety can be overcome, and it’s better that your child overcome their fear earlier rather than carry it into their adulthood. The dentist may not be the most fun and entertaining place in the world, but it certainly is a necessity and those who care for their teeth properly will be making less dental visits in the future! Rory Mycek is a guest contributor from www.TopDentists.com, the dental resource site in the same network as What To Expect.